This was a day where I didn’t feel like chopping anything on the cutting board: no diced onions, no minced garlic, no chopped carrots, potatoes or peppers. I was thinking what can I make that fits this criteria? I purchased shrimp earlier this week from the fish market. 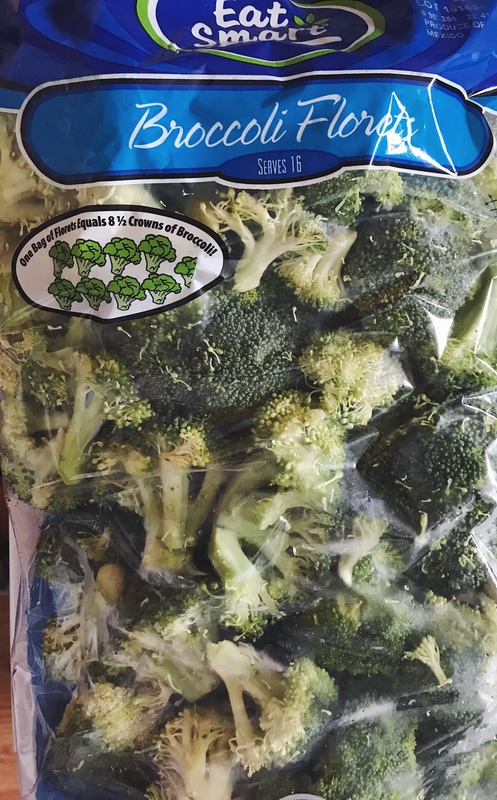 I had prewashed bulk pack of broccoli in the fridge from Costco. 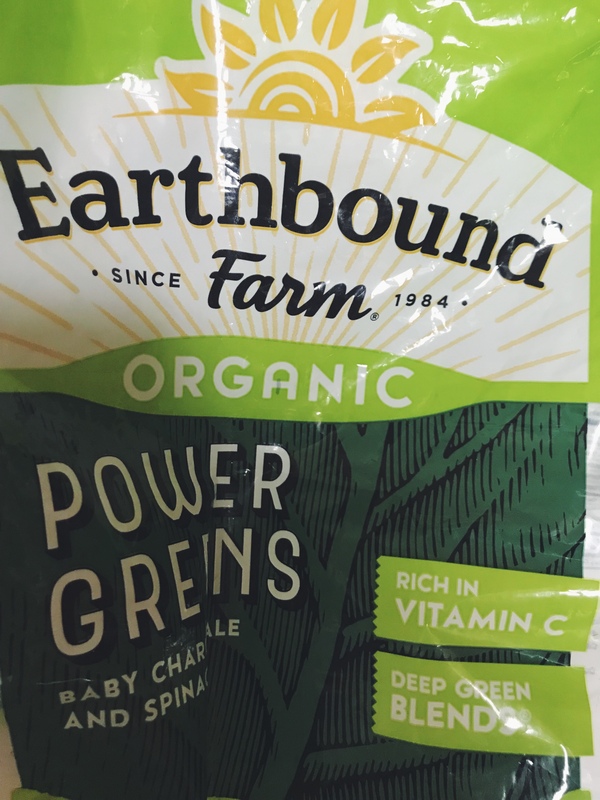 I had prewashed bulk pack of swisschard and spinach mix greens from Costco. And a defrosted salmon packet from Costco. 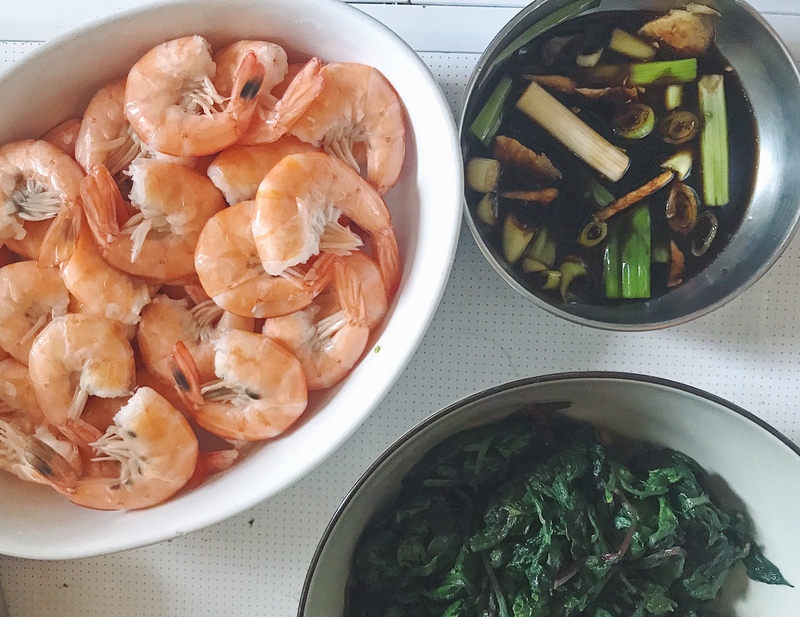 Ultimately, the broccoli and shrimp were done in about 10 minutes; and the salmon and mixed green were cooked in less than 10 minutes. Easy peasy meal! *Note: You can skip this altogether to go with this “no effort” meal and have it with either soy sauce or fish sauce on the side. 1-Boil water and toss in brocoli to blanch or boil to your desired tenderness. 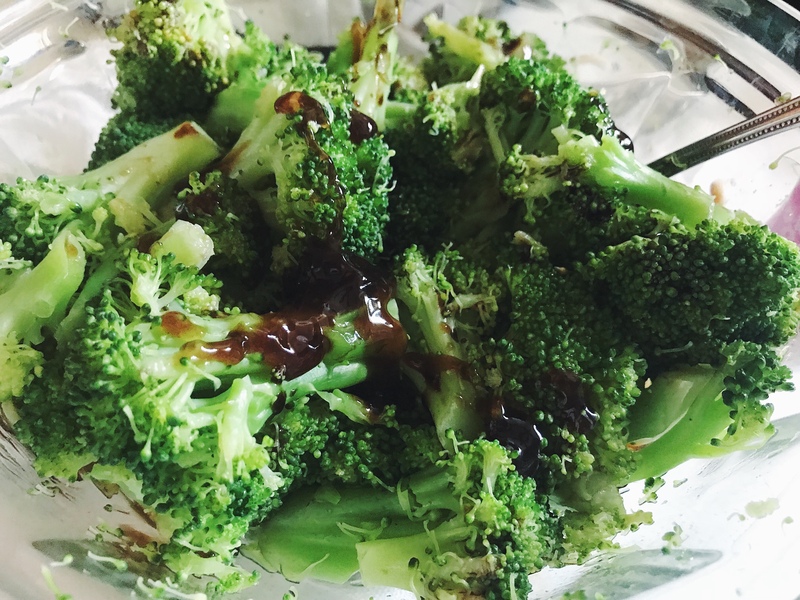 2- Drain broccoli and toss in the oyster sauce, soy sauce and sesame oil. 1-Spill out the water in which you boiled broccoli and refill fresh pot of water to boil and throw in your shrimp and bring to a small boil and shut fire off and drain. (You can also drain and cool off in cold water if you wish). 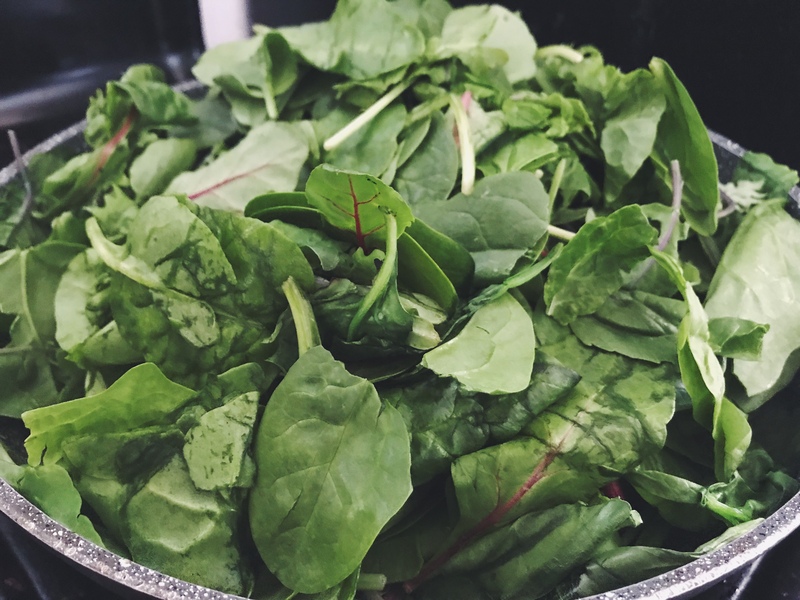 1- Add some oil and sauté spinach or mixed greens. Add salt to taste. 1–Add some oil and pan fry the fillet of salmon for 4-6 minutes on medium (yields a crispier exterior) or 5-7 medium low on side side. 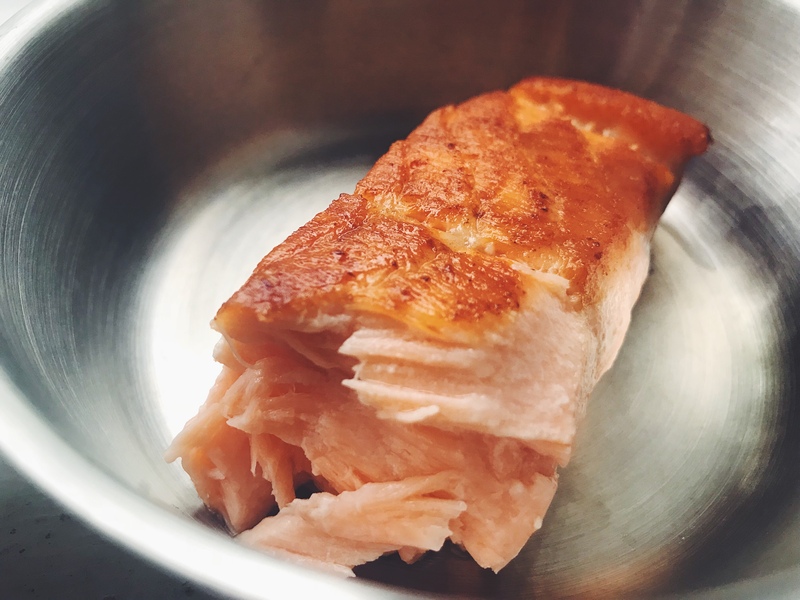 2- Flip salmon over to the other side and cook for about 1-2 minutes (depending on how thick your salmon is) and rest for 3-5 minutes before serving. That’s all Folks! The quickest, no brainer, no prep required set of”recipes” for this complete meal. What are some of your favorite “no brainer” recipes for days you feel a bit lazy or too tired too cook?